Mumbai Indians are all set to host the Chennai Super Kings in Match 15 of the IPL at the Wankhede stadium on Wednesday night. 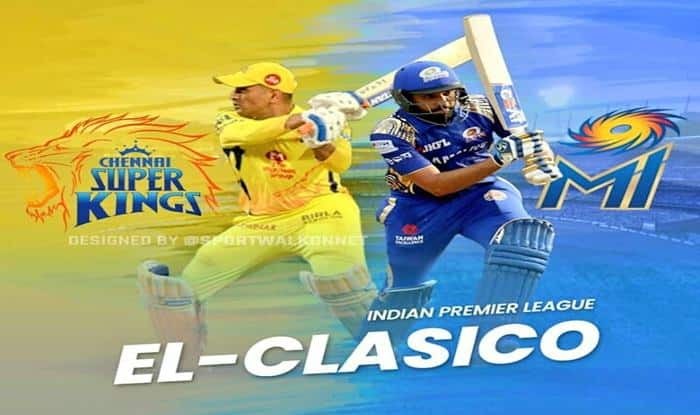 Riding high on confidence after three back-to-back victories, Chennai Super Kings (CSK) will look to continue their winning momentum against slow-starters Mumbai Indians in a high-voltage encounter of Indian Premier League (IPL) on Wednesday. It is deemed as the ‘biggest battle of the season’ as both the teams boast off an impressive record in world’s most followed T20 extravaganza. Apart from being led by two charismatic leaders – Rohit Sharma and MS Dhoni, both Mumbai and Chennai have lifted the coveted IPL silverware thrice in the history of the T20 competition. In the ongoing edition, CSK are sitting pretty at the top of the eight-team table with three wins in three games. Whereas hosts Mumbai have not started well and are placed at the seventh spot in the points table, MI’s have registered a single win and suffered two defeats so far. In Wednesday’s encounter, Super Kings will hold the edge with skipper Dhoni in rollicking form. The 37-year old former India captain hit a 46-ball 75 in their last game against Rajasthan Royals to singlehandedly lift his team from 27/3 to 175/5 at home. Called the ‘Daddy’s Army’ for a host of over the hill cricketers in their arsenal, CSK have defied all odds to win the title last season and have continued their form this year in the opening exchanges. On the other hand, Rohit’s form has been a cause of concern for the blue brigade as the ‘Hitman’ hasn’t really get going in the competition so far. The 31-year old’s blade has bleed only 94 runs in the league. IPL ka asli maza toh aaj ayega. Two best teams vs each other. Mumbai Indians lead the head-to-head 13-11 against CSK and have won four of the last five fixtures between these teams.